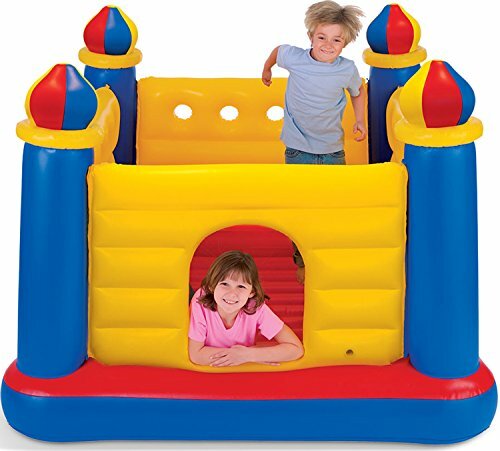 This cheap and cheerful bouncy castle from Intex is great for little ones. Ideal for a birthday party or just spoiling your kids. 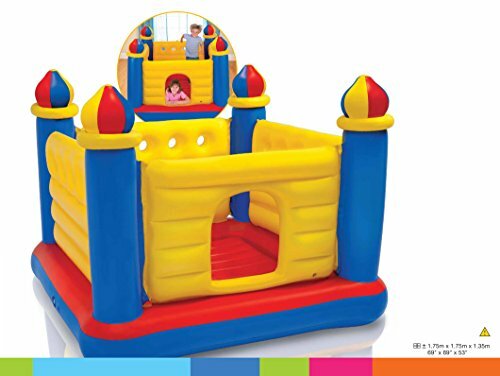 It’s bright and colourful which can help encourage balance, coordination and physical development in little ones. 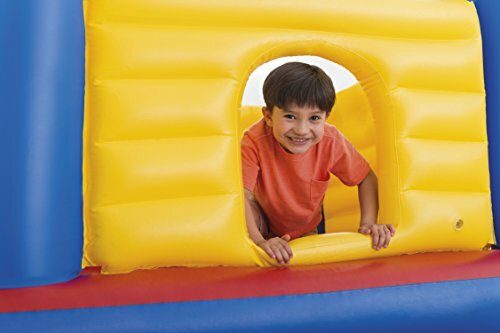 Made from a non-toxic vinyl and see-through plastic walls, this bouncy castle will provide hours of fun for everyone. With a maximum load of 54kg and capacity for 2 children all for under £35** (check latest price) – what more could you ask for? 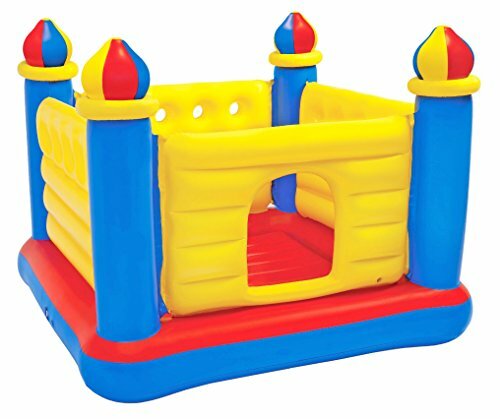 Customers have rated this bouncy castle 5/5 stars and have mentioned the durability of this bouncer is fantastic. 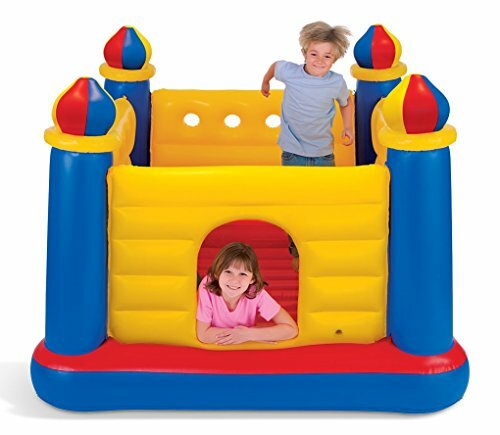 One owner inflated theirs on Christmas Eve and it still hadn’t shown any signs of deflation by March! 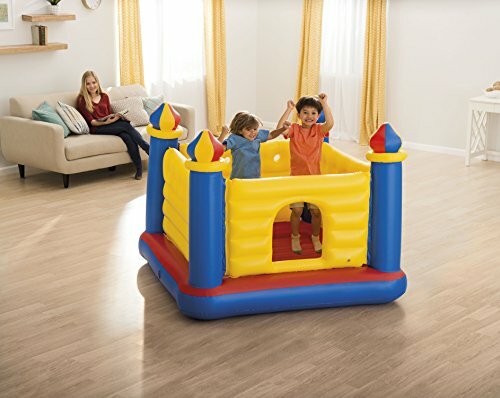 Unfortunately it doesn’t come with a pump. So you’ll need to source one separately . Recommended for children between 3 and 6 years old. 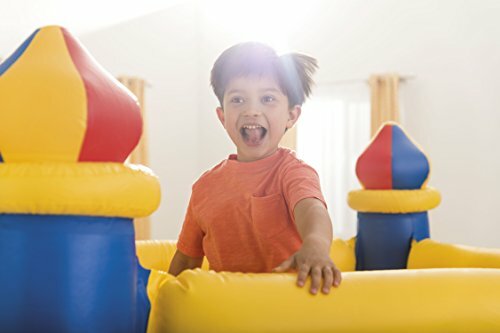 The Intex Jump-O-Lene is supplied without a pump. We recommend purchasing the Intex quick fill pump or Bestway rapid electric pump for quick and easy inflation. 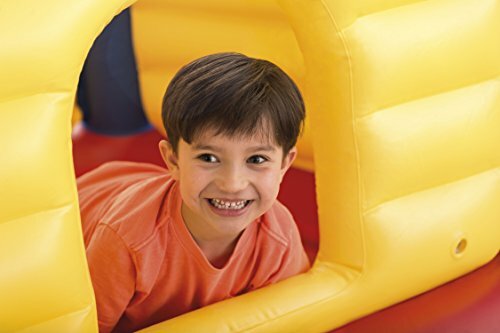 If you’re looking to really make a birthday special, why not add some play balls too?